Daniel Cormier is set to retire in March 2019, but UFC President Dana White wants to get a few more fights out of him. 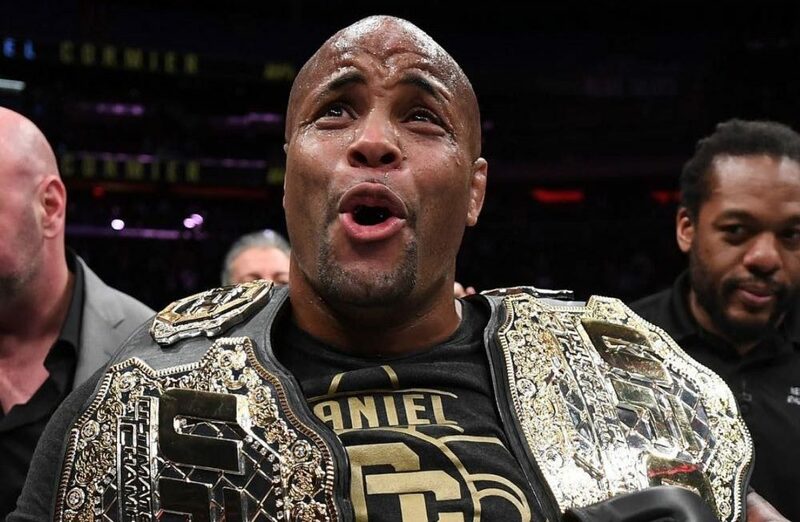 Two weight world UFC champion Daniel Cormier is set to retire in March 2019, but UFC President Dana White is hoping he might be able to change his mind. Cormier currently holds both the UFC light heavyweight and UFC heavyweight titles and has successfully defended them both in 2018 having fought already three times. With his retirement incoming for March, Cormier has targeted one last fight and has openly said multiple times that he wants Brock Lesnar to be the man standing across the Octagon from him. Jon Jones, Cormier’s biggest rival, is set to return to the Octagon on Dec 29 at the UFC 232 at Alexander Gustafsson. A win for Jones would set up a tantalising potential third bout against Cormier, but with the current champion’s retirement plans nothing seems to be set in stone. Speaking to TMZ.com earlier today, White said he’d loved to see a third fight between the great rivals and said he’d love for Cormier to continue fighting past March. “I don’t know, we don’t know that either yet,” White said when asked if Cormier’s bout with Lesnar would be his last. I think Cormier’s got a few more left in him. “I’d obviously like to see Jones and Cormier fight again, at heavyweight. These comments from White come after Cormier recently distanced himself with a third from Jones. “I don’t need [the Jones fight] anymore,” Cormier told ESPN. “Sometimes you need things and sometimes you don’t. Time will tell whether the pieces fall into place for a third bout between Jones and Cormier, but the UFC will need a big year on pay-per-view in 2019 and a third bout between the great rivals at heavyweight would certainly spark fan interest.